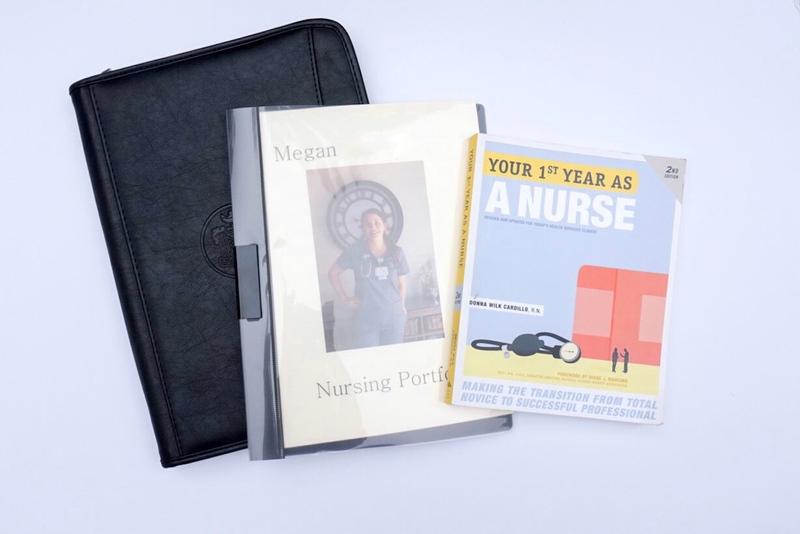 My nursing school required us to keep a nursing portfolio. The portfolio was completed online through a company called LiveText. I did not like the idea of having to hand out a website address for a hiring manager to look at documents nor did I find it appropriate to place on my resume. Instead, I decided to create a hard copy while I was going through my hiring process. 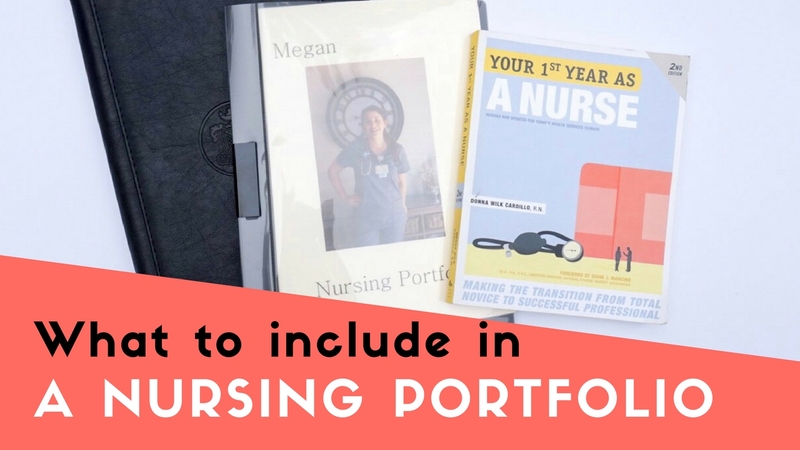 There is much debate whether or not you need a nursing portfolio. I think it is a great way to showcase your talents and why they should hire you. It can also be turned into a place to essentially house all your certificates, licenses, experiences, and CEUs. I am not sure if hiring managers truly want to be handed a portfolio or a traditional resume, so just make sure you can easily remove items that they might request to see. 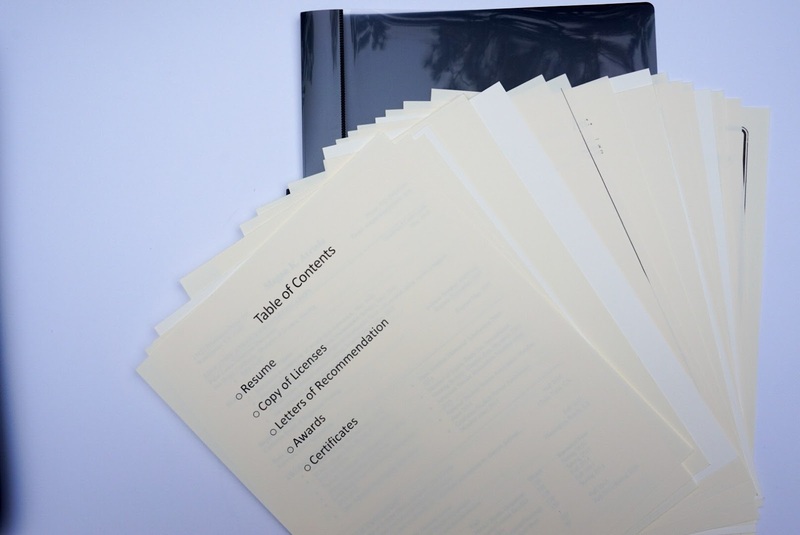 Having a nursing portfolio that you can take with you and leave with the hiring manager might set you apart. 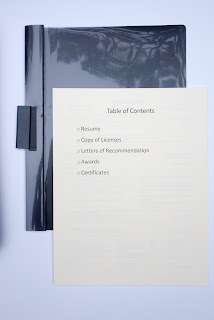 In my interview, I provided a clean copy of my resume right in the beginning, but left her with a small portfolio as sort of a remember me by. 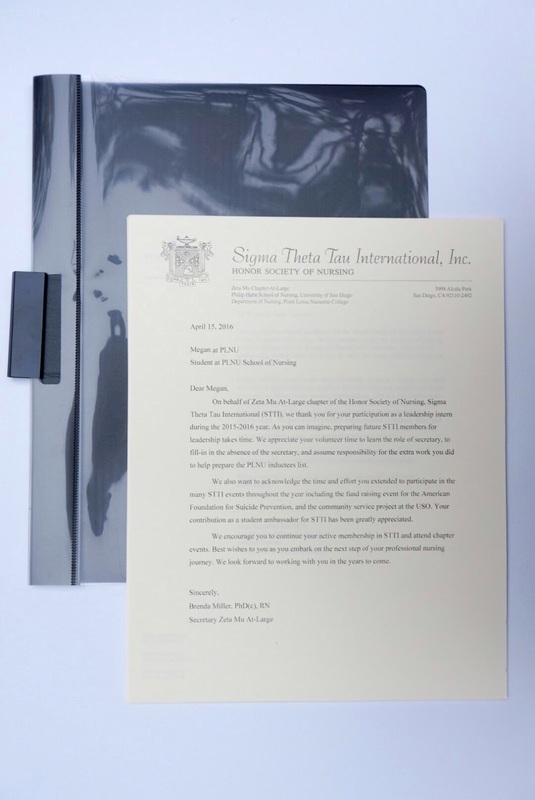 The hiring manager was pleased to see that I had placed a professional photo on the cover page and included letter of recommendations from professors even though none of this information was asked of me. My portfolio was very simple. I used a report cover instead of a binder. I did not want to leave the hiring manager something bulky. 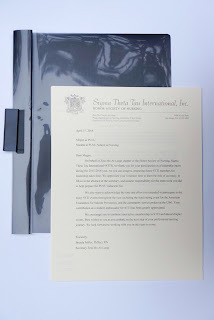 I wanted a professional appearance with something that was slim and a report cover did the trick. I picked mine up at Staples in a 5 pack for $4. I struggled with what was an appropriate cover page for the portfolio. I knew that I did not want it to just be my resume nor a blank page with my name. Ultimately I decided to include my full name in large letters with a professional photograph of me in the center and underneath the words nursing portfolio. The hiring manager was thrilled to see that I had a picture on the front. Inside my portfolio, I printed all my documents on nice resume paper instead of computer paper. Once again, I wanted a more professional look. To separate my sections, I used thick card stock in the same color. That way when you thumbed through it, your finger would be stopped. I did not add any school work in my portfolio. 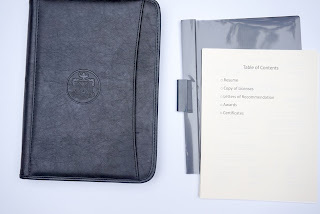 Although I did bring with me two handouts from Evidence Based Projects I have completed to discuss with the hiring manager if a question arise. I also did not add any scholarship letters that I had received during school. This was a personal choice, but you could add it to help beef up your portfolio or if is directly related to the hospital or position in which you applied. 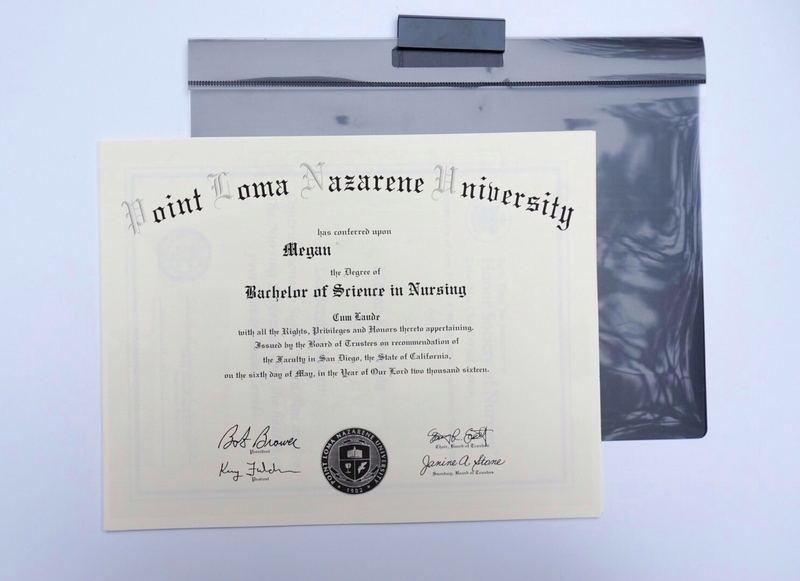 Did you create a nursing portfolio? If so, what did you include? I know this question is off topic, but did you have to go for an interview before you got accepted into nursing school. If so, can you please share what it was liked? I did not go through an interview to be accepted into nursing school. I did however go through a very informal interview before being accepted to my university. Unfortunately, it was so long ago (five years) now that I do not really remember what was even asked of me. Stay tuned though, I will be going over some interview tips soon.